We continue to go through the bye-weeks going into Week 7 and picking up spot-starters, bye-week fillers, and players to put in for under-performers is key this week. Every week counts right now if you are going to make play-offs but you need to make wise choices these weeks. Antonio Gates (TE, SD) - he should not be on your waiver wire, but if he is then please pick him up. 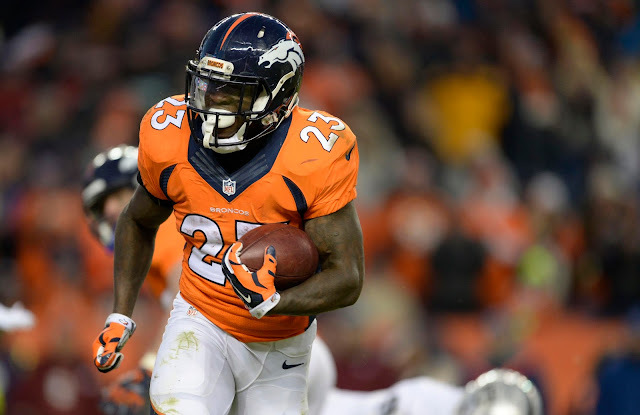 Ronnie Hillman (RB, DEN) - as it has been said earlier in the season it was only a matter of time before Hillman became the #1 RB in Denver. He probably isn't on your waiver wire, but if he is available then you need to pick him up. Martavis Bryant (WR, PIT) - there is no way he is on your waiver wire, but if you are a lucky sole and he is available then do yourself a favor and pick him up. Brandon LaFell (WR, NE) - he was mentioned here last week as well, but please stash him on your bench and you can thank me later. Julius Thomas (TE, JAX) - he should not be available, but if he happens to be on the wire and you need a player with upside then look to Thomas. Christine Michael (RB, DAL) - he is going to get a chance to start for the Cowboys and it's about time. He was always waiting in the wing for the Seattle Seahawks but he is going to be given a chance. It's recommended that you stash him on your bench now and see if he can develop. Theo Riddick (RB, DET) - he is a player to look at in PPR leagues, but he will get more carries again next week. 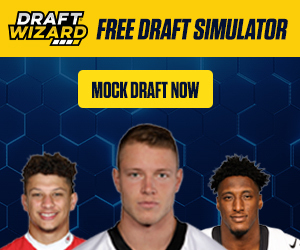 He has some TD upside as well, but he can only be recommended in deep leagues. Michael Floyd (WR, ARZ) - he helped me in one of my deep leagues and if you need a WR to cover you in bye-weeks or for injuries then go to Floyd for a WR with upside. Delanie Walker (TE, TEN) - Walker is finally healthy again, but he will be inconsistent for most of the year. He is a solid talent, but fear his up and down nature will keep him from being elite. James Starks (RB, GB) - Eddie Lacy is giving more and more carries to Starks and Starks is showing promise. At this point he is part of a RBBC situation but he has potential to steal more carries as the weeks go on. Rishard Matthews (WR, MIA) - this kid is legit and is someone that should be grabbed. He is especially valuable in PPR leagues, and can he can help you through the bye-weeks. Stefon Diggs (WR, MIN) - he should be stashed at this point as he is starting to take over a starting role in the Minnesota offense. He is not someone to bank on weekly, but if you need a flyer in a deep league then Diggs is someone to grab this week. Marvin Jones (WR, CIN) - the problem with Jones is that he is not consistent, but he plays on a high-power offense and if you are in real need of a WR then Jones is someone to target this week. Travis Benjamin (WR, CLE) - it's tough to recommend Benjamin due to him being up and down, but in deep leagues he has to be thought of as a player with upside potential. Benjamin Watson (TE, NO) - had a huge week this week, but at this point he is still a weekly gamble. If you are looking for a TE then keep a him in your target list. Charcandrick West (RB, KC) - he was more than likely picked up, but keep in mind Vikings defense is tough, so please stash him and wait to see if he will shine. Brian Hoyer (QB, HOU) - keep a close eye on Hoyer, but he has a nice weekend this week and has upside going forward. He is not a player you can start at this point, but is worth monitoring. Jamison Crowder (WR, WAS) - he has found a way to produce weekly numbers and it should decrease when Desean Jackson returns, but at this point keep a close eye on Crowder. Robert Turbin (RB, CLE) - he will eventually overtake Crowell, but still won't be a starter. He should be monitored at this point just in case he finds a way to break out. Ahmad Bradshaw (RB, IND) - he was solid in the past for the Colts but will serve as Gore's backup. He only has real value if Gore is injured.